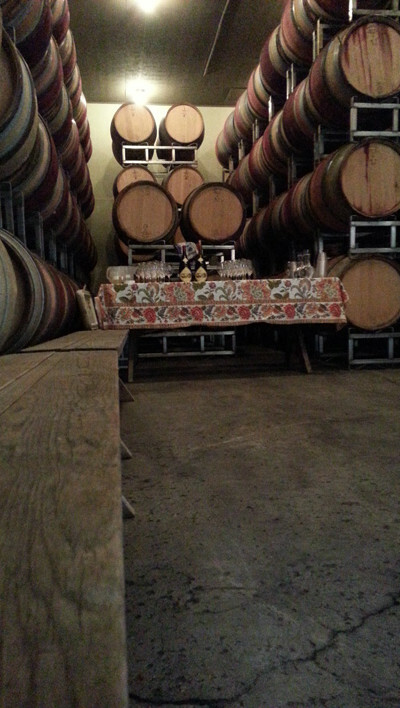 We are excited to invite you to a tasting taking place at the winery on Saturday March 21st from 2 to 5pm. We will be exploring young wines still in barrel from the 2014 vintage, with a lively conversation on the characteristics of the vintage, varietals and details of winemaking. A second tasting will present bottled examples of the same vineyards and varietals from earlier vintages. We will serve a light buffet crafted by Jeri Oshima and served with Jonathan Tolmach’s famous sourdough baguettes. We can only accommodate 30 guests, so we encourage you to sign up right away. We will charge the event 5 days prior and will not accept last minute cancellations. You can transfer tickets by emailing us the names of those replacing you.